Normally, I’m a from scratch kind of girl, but for this recipe I’m making an exception. 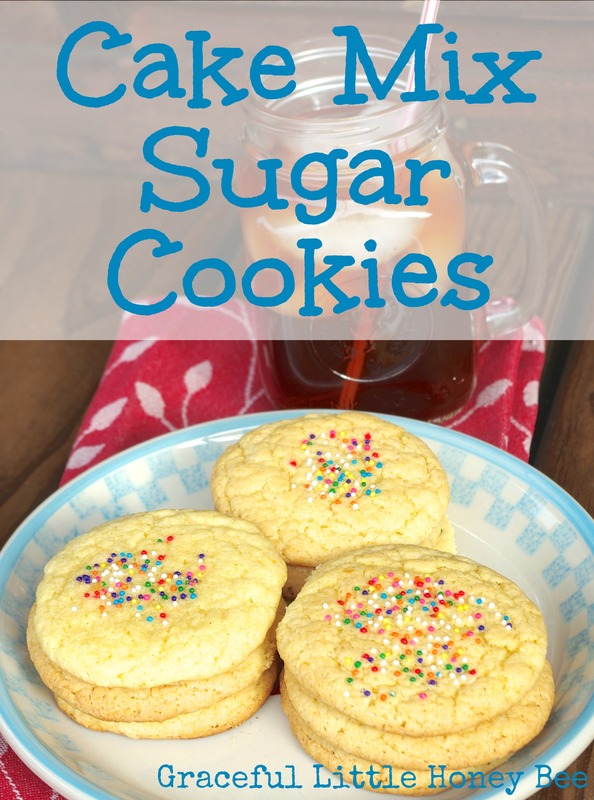 With only three ingredients these cake mix sugar cookies are super fast and easy to make, plus they always turn out soft and chewy. This is a great recipe to have on hand for when you need a special treat in a pinch. Original recipe is here. Step 2: Mix all ingredients until well combined. Step 3: Roll into one inch balls and place on greased cookie sheet. Step 4: Top with sprinkles if desired. Step 5: Bake for 8-11 minutes or until sides begin to brown. Step 5: Let cool and enjoy!! Roll into one inch balls and place on greased cookie sheet. Bake for 8-11 minutes or until sides begin to brown. They're awesome! I hope you enjoy! I've had a box of pink cake mix for a while and nothing to do with it so think I will make some of these since they are so easy! Thanks for sharing! Hey Megan, I hope you love them as much as we do!! Oh, what an awesome idea! My name is Katie and I host Fall Into the Holidays, now open. All entries get pinned. I would love to have you link up! Sounds fun I will have to check it out! So easy! This is the easiest sugar cookie recipe I have ever seen. Pinning it! I made these last night and the were so good!! i rolled them in sugar before putting them in the oven and my family was obsessed... so easy and definitely making again! Can the be rolled out and cut in shapes? I believe so, but I haven't tried it. If the dough was sticky or too gooey, you could always add a little flour to stiffen it up.